Overall, while there looks to be some colder air moving into the interior southwest after the 15th/16th of December….much of the US mainland looks to stay above normal with no severe cold outbreaks for the next two weeks. 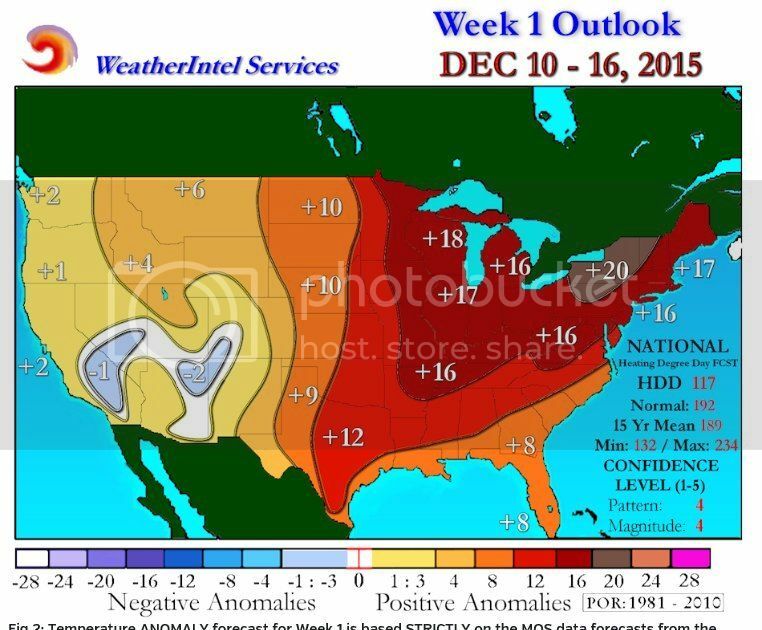 Normally these short term forecasts are fairly on target. December 17 – 23: The West should really start to get colder after the 16th or so….this means more snowfall in the West, with snow levels coming down in elevation. In the Central states, it looks like still above normal, with temp departures of 5 to 8 F or so (little snow in the Great Lakes and New England). In the far East/East Coast, it looks like still warm, but with modest temp departures of 6 to 8 F. Florida looks to have another warm week (good for beach tourist industry). A series of strong short wave TROFs will dig into the Western states …this should force ridging again downstream in the central and esp eastern USA. 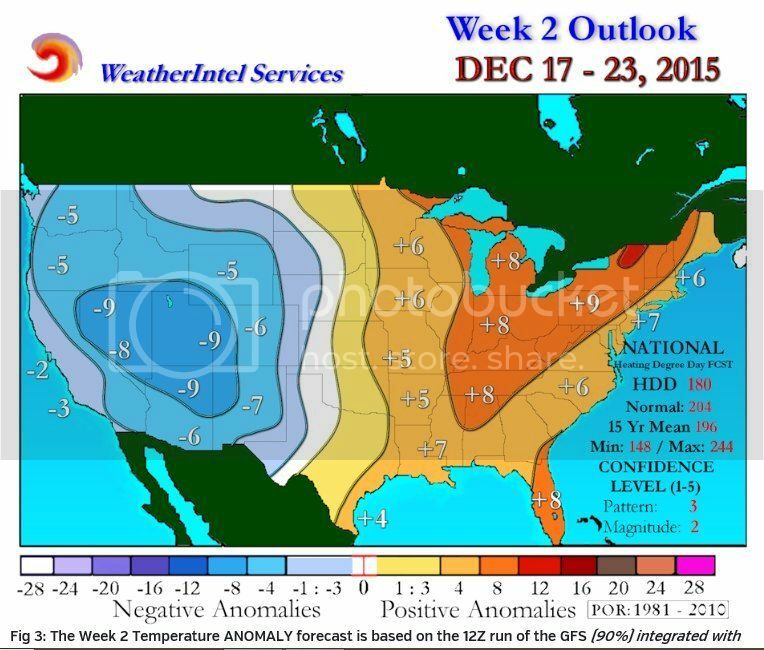 So we should expect below normal temps over the western half of the nation…..and above normal temps over the eastern part of the mainland– especially across all of the eastern seaboard states. The deep subtropical south will likely not see any frost until the New year (I know some places from central Florida south have no freeze annually, so this might not be so unsual). So it appears likely the first 33% of winter 2015/2016 was a good one for much of the USA, needed moisture in CA and parts of the West, good snowfall for the ski industry in the MT West, little severe winter weather in the northern states, and mild in the subtropical south. The only down side seems to be that northern ski areas in the Midwest and upper New England seem to be struggling.